Scientists are working diligently to prepare for the expected increase in global population—and therefore an increased need for food production— in the coming decades. 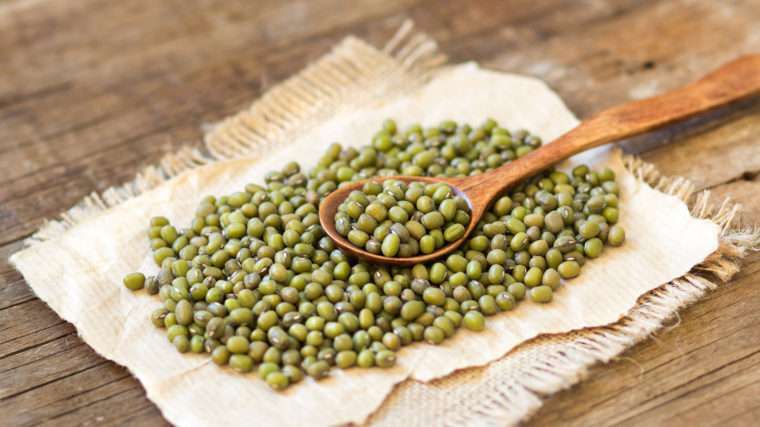 A team of engineers at Washington University in St. Louis has found a sustainable way to boost the growth of a protein-rich bean by improving the way it absorbs much-needed nutrients. Food crops need phosphorus to grow, and farmers are using more and more phosphorus-based fertilizer as they increase crops to feed a growing world population. However, the plants can only use about 42 percent of the phosphorus applied to the soil, so the rest runs off into the water streams, where it grows algae that pollutes our water sources. In addition, nearly 82 percent of the world's phosphorus is used as fertilizer, but it is a limited supply, Raliya says. "If farmers use the same amount of phosphorus as they're using now, the world's supply will be depleted in about 80 years," Raliya said. "Now is the time for the world to learn how to use phosphorus in a more sustainable manner." Raliya and his collaborators, including Jagadish Chandra Tarafdar at the Central Arid Zone Research Institute in Jodhpur, India, created zinc oxide nanoparticles from a fungus around the plant's root that helps the plant mobilize and take up the nutrients in the soil. Zinc also is an essential nutrient for plants because it interacts with three enzymes that mobilize the complex form of phosphorus in the soil into a form that plants can absorb. "Due to climate change, the daily temperature and rainfall amounts have changed," Raliya said. "When they changed, the microflora in the soil are also changed, and once those are depleted, the soil phosphorus can't mobilize the phosphorus, so the farmer applies more. Our goal is to increase the activity of the enzymes by several-fold, so we can mobilize the native phosphorus several-fold." "When the enzyme activity increases, you don't need to apply the external phosphorus, because it's already in the soil, but not in an available form for the plant to uptake," he said. "When we apply these nanoparticles, it mobilizes the complex form of phosphorus to an available form." "We hope that this method of using zinc oxide nanoparticles can be deployed in developing countries where farmers are using a lot of phosphorus," Raliya said. "These countries are dependent on the U.S. to export phosphorus to them, but in the future, the U.S. may have to help supply food, as well. If this crop can grow in a more sustainable manner, it will be helpful for everyone." "This is a broader effort under way at the nexus of food, energy and water," Biswas said. "Nanoparticle technology enabled by aerosol science helps develop innovative solutions to address this global challenge problem that we face today."